ROMANCE BOOK PARADISE: Laura O'Connell on Writing and Giveaway of Web Of Lies! 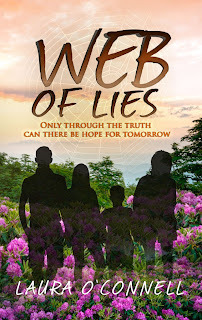 Laura O'Connell on Writing and Giveaway of Web Of Lies! Thank you Nas for having me at your blog, today. A few weeks ago, I attended the Gold Coast Writers Festival and I learned the term, Discovery Writer. This immediately caught my imagination and it came together with another word, adventure. I decided writing is an adventure because we don’t know where the journey is going to take us and also we discover many new and interesting twists and turns on that journey. It is well known that writers are either planners or pantsers. Pantsers for those who aren’t familiar with the term are those writers who sit down and just write with little planning beforehand. I like the idea of being a pantser but my accounting background has influenced the way I attack a project. I think it has something to do with all the events of my work having to be in correct sequence and balanced back to zero. I plan all my novels in an excel spread sheet before I begin that first draft. With the blue print completed, I write the first draft much quicker and the work needs less revision. However, with my current work in progress, I’ve completed my character profiles and I’m allowing the muse to take over and let characters discover their own journeys. I work from character motivation rather than plot. This is a lot more fun than planning the whole story and then writing the draft. It gives the characters more scope to be themselves and lead the way. This process can be filled with potholes if I allow my imagination too much freedom. I end up writing much more than when I plan it, which means more revisions. However, I’m taking a romantic outlook and deciding I’m going to be a discovery writer for my current project. I like the pioneering flavour that it has. How about you, do you think discovery writer is a better description than pantser? Laura enjoys writing stories about second chances in love and life. She calls the Gold Coast home, however, her curious nature leads her on adventures to locations that surprise and inspire her. Laura has a passion for telling a good story set in places where she has lived and travelled. High school sweethearts, Stephanie and Lachlan are torn apart by circumstance, bad decisions and a web of lies, leaving an unknown future for their son, Ryan. Eight years later they reconnect, but the time apart has changed them. The family had made decisions based on lies and deceit and now must find a way to either reveal the truth or find another option. On the surface, their arrangements seemed flawless, but dig deeper, and the people they thought they knew aren’t as they appear. Lachlan and Stephanie are forced to confront the consequences of their actions and the entire family is compelled to reveal the truth, find forgiveness, and renew loving one another. But the hardest decision is still to come … where does Ryan live? One Lucky commenter will get a copy of Web Of Lies! I don't know about you, but I think the term 'pantser' is awful. I like your term much better, Laura. Thanks Maria, I think it is a much better term, too, which is why I think the gentleman who used it before me caught my imagination. I don't even get 'pantser' what? Fly by your pants? Lol! I beleive every writer probably has an outline and plot in their mind. Welcome to Romance Book Paradise Laura! I do hope you will enjoy chatting with all my friends here! I started out as a dedicated pantser, but as I go down the writing path, I'm morphing into a plotter. Hi Leslie, It seems many writers are changing the way they write as they develop. I think it has something to do with becoming more efficient and productive because of looming deadlines. I agree here with Laura. Hi Laura. I think those of us who started as pure pantsers have moved towards plotting as Leslie says, but I think for a story to sing you always have to let the characters have their way up to a point. Thanks for coming by! If you let characters cook a while in your mind, I believe you can do great! I dislike the term pantser. I've always called it flying into the mist, but your term discovery is perfect. Love it! Discovery writer sounds far better than a pantser. Hi Shelley, I haven't heard the term 'flying into the mist'. Thanks for sharing that. I like to learn something new every day. Thank you so much for introducing me to Laura's book, Nas. It sounds wonderful. I never get tired to meeting how other author tackle their work. Thanks so much for dropping by, Joylene. I hope you enjoy my work. Web of Lies sounds like a good book! I am personally a planner. Whenever I try "pantsing" it, I don't finish! Thank you, Sherry. Yes, when I first tried 'pantsing', I come unstuck about half way through and didn't quite know where I was going to go next. A dead end with nowhere to turn but to back out the way I came in. 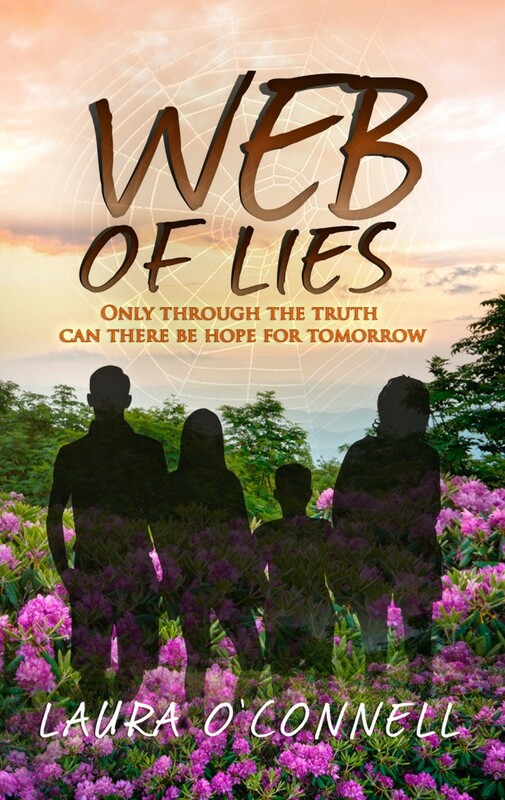 Web of Lies is a wonderful story, I'm sure you'll enjoy. Oooo... Laura's work sounds fantastic. Thanks, Nas, for having her here today! And I'm such a pantser... Me and plotting = Not good. LOL. Thank you for coming by to read this post! I started as a pantser but now I love to plot. It saves me so much time later down the track. I agree, we need to plot and pants, then plot again so we don't get stuck. Thanks so much for having me on your blog, Nas. It's been fun to meet and share with your readers. We all enjoyed chatting with you! Thanks for giving us your time! Your term is much more suitable, Laura! This was interesting to read. I like this term. I'm a plotter myself, but I deviate from the plan slightly since the characters take over.